Who do you think the world’s richest person was at the end of the 1800s? Was it a businessman from New York? A European royal? A Russian tsar? No, it was none of them. It was actually a man from Cardiff in Wales. His name was John Crichton-Stuart, the third Marquess of Bute, and he made his fortune through one simple thing: coal. His father (the second Marquess of Bute) had the foresight to risk the family’s (large) wealth by investing in Cardiff. He knew the surrounding Welsh lands were full of coal and was convinced it would become valuable during the 19th century. So he developed the city into a port, with canals branching out through the suburbs and train lines coming in from the mines. It paid off. Big time. Cardiff became the world’s largest coal port and the riches flowed in. The turn of the century was a boom time for the city. The city’s population had grown in 100 years from about 2,000 people to 160,000 people! The first million pound cheque was signed here. But it wasn’t to last. And this is the key to the story of Cardiff’s modern history. From boom, to bust, to today… and an incredible recovery. As a visitor to the city, this tale plays out in front of your eyes. I feel as though Cardiff is underrated and sometimes unfairly dismissed as unworthy of a trip. In fact, it’s a fascinating and modern city – but understanding the past 150 years will only add to your experience as you explore. Take, for example, Cardiff Bay. Nothing better represents the city than this area. Once it was the epicentre of the docks, with ships coming and going all day and night. Coal coming in by train from the mines would be loaded onboard and sent off to the world. People from distant continents would arrive and bring their cultures with them. It’s hard to believe that once the air was dark, the place stank like fume, and workers with grime-covered faces stalked the streets looking for booze and women. 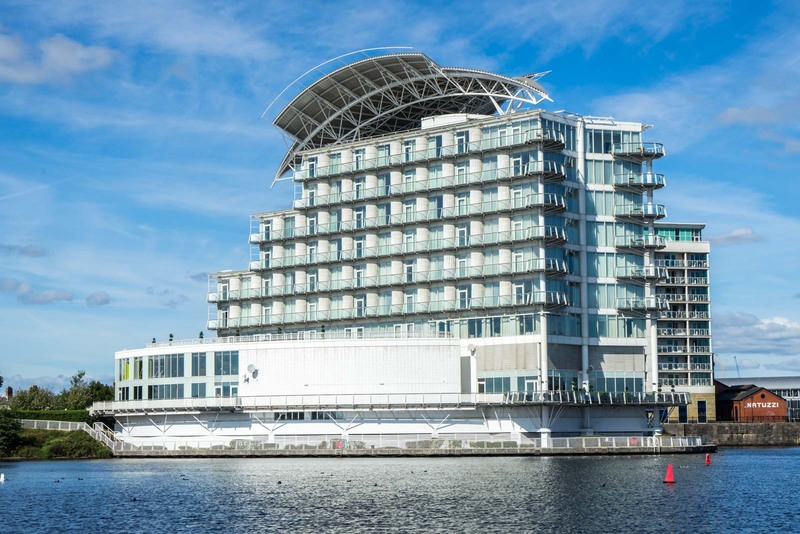 Now Cardiff Bay has been rejuvenated in one of Europe’s most successful regeneration projects. Looking towards land from the water, on the right is the contemporary-designed glass Welsh National Assembly for politics and the bronze Wales Millennium Centre for the arts. On the left is a complex with restaurants and bars. And in the middle is the Pierhead. The Pierhead was built in 1897 as the headquarters for the Bute Dock Company. With a French-Gothic Renaissance design, it is one of the most important landmarks in Cardiff and is an icon to the industrial past. Inside you can see an excellent free movie about the history of the docks. 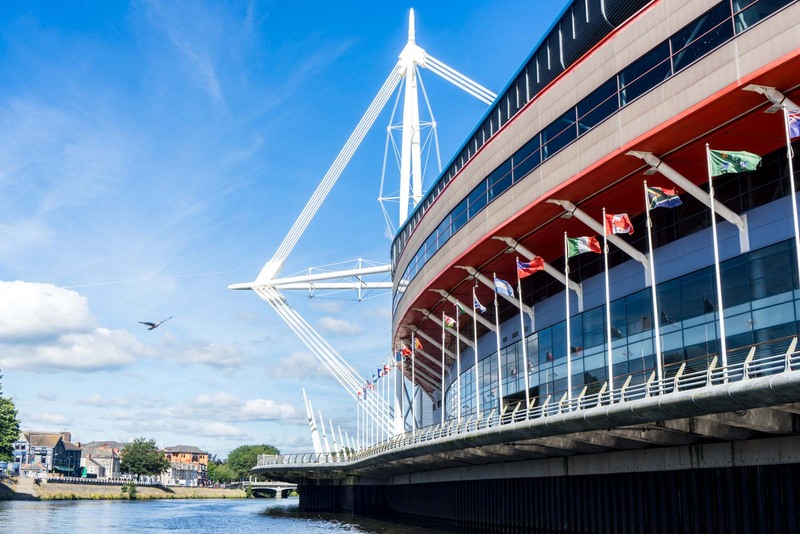 Cardiff Bay shows the emergence in the past decade or so of the city as one of the most cosmopolitan in the United Kingdom. The apartments going up in the area and along the waterways shows the interest – particularly amongst young families – in moving to somewhere that is cheaper than London but still only two hours away. But walk a couple of blocks from the foreshore of Cardiff Bay and you’ll see the remnants of what came before this restoration. In the second half of the twentieth century, the city fell into decline. Coal exports had virtually stopped, a world war had weakened Europe generally, and Wales had few other industries to fall back on. And so the grand buildings that were put up during the coal boom lay empty. None better captures this than the old Coal Exchange, where that first million pound cheque was signed. This was once the epicentre of the business here but now it’s empty, surrounded by fencing, a forlorn shell of its old self. I’m told there are plans to turn it into a hotel, which would be a welcome change. Walk up from the bay towards the centre of the city and you’ll get a sense of how people live in this part of Cardiff. Much of it is simple British social housing – the kind you see all across the UK. It’s a reminder that the wealth of a century ago did not stay and was not even. But a little bit further along, in the heart of the city’s commercial district, you can see what remains of that time. The famous arcades of Cardiff are a great example. The finest architecture, fitted with electricity, they were home to boutique shops. The families who were benefitting financially from the port thought of themselves as part of the global elite. They wanted the finest clothes and accessories from the Unites States and Europe – and this is where they came to buy them. Just on the other side of the shopping area is Cardiff Castle, which represents more than just the recent history. It is worth noting on this trail of modern times that the castle was rebuilt into a lavish palace by John Crichton-Stuart, the third Marquess of Bute. Remember him? He was the man I mentioned at the start who was the richest man in the world. The castle has much more to it than that, though. It is built on the site of an old Roman fort from the 3rd century and still has the keep from the Normans, who arrived in the 11th century. Over the hundreds of years that came, there were many additions and changes. If you would like to know more about 1000 years of Cardiff, then this is the place to start. It’s an excellent site and worth the time to visit. But right now, I want to take you just around the corner and finish this story where, in some ways, we started. At an area called Cathays Park, which is the civic centre of the city. Here you’ll find the City Hall, the main courthouse, the National Museum and a few buildings of Cardiff University. As well as investigating the museum, I recommend you walk around the area to admire the architecture and the gardens. Why is this area important, other than for the obvious? Well, it’s because this may not have been possible if it weren’t for our good friend, the third Marquess of Bute. This was once all his land and, when he sold it to the local council, he placed some conditions on how the area should look. He wanted the grand avenues to be preserved and no commercial buildings to be constructed. He envisaged a civic centre fitting for such an important and wealthy city. So that’s what Cardiff got and that’s what Cardiff still has. The ebbs and flows of fortune have left this area basically untouched – one of the few districts in the city that has not changed dramatically over the past century. From Cathays Park, where we see a testament to the status Cardiff once had, through the commercial centre where we can see the effects of the twentieth century downturn, and to the bay where the signs of rejuvenation are everywhere. 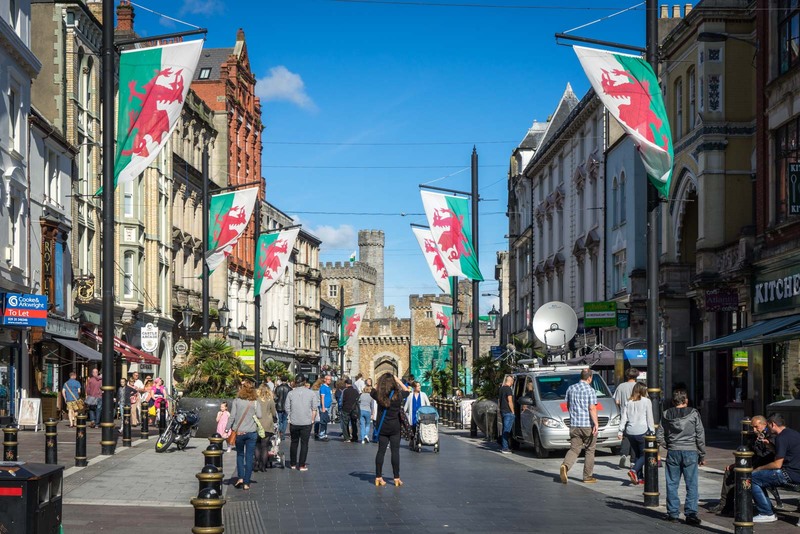 To see the story of Cardiff you just need to walk the streets and look around you. So many layers, so much history, and so much to enjoy. wow! that place is looking so beautiful and have so many good things to get fun. Buildings are one of the best attraction of that place and awesome photos you shared of that palce. Great, that palce is looking so beautiful and buildings are one of the best attraction of that palce. You captured awesome photos of these beautiful buildings. Looking so beautiful and buildings are one of the best attraction of that place. so stunning pics you shared. Thank you so much for sharing it. Amazing place and so beautiful buildings it have. awesome photos you shared. Amazing view of Cardiff and it is one of the best attraction for tourists to visit. Just got home from fantastic travel in Wales and had a great time in Cardiff, a city sightseeing gave me great perspective on this neighbor and explored the main highlights of this city and I knew and learnt things about the history, the development of the city.